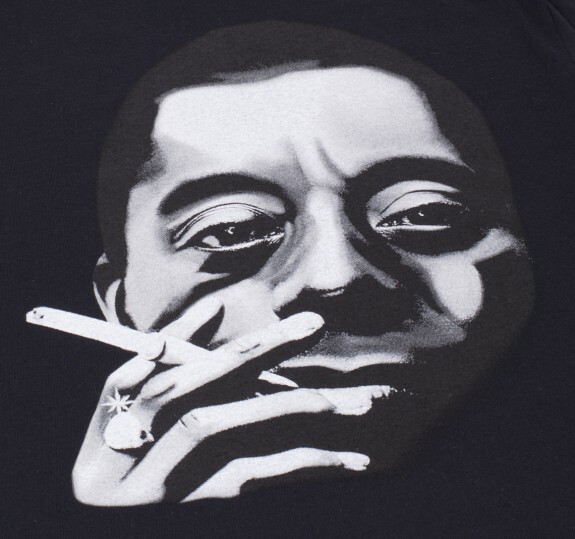 James Baldwin (1924-1987) was a gay, American novelist, civil rights activist and social critic. 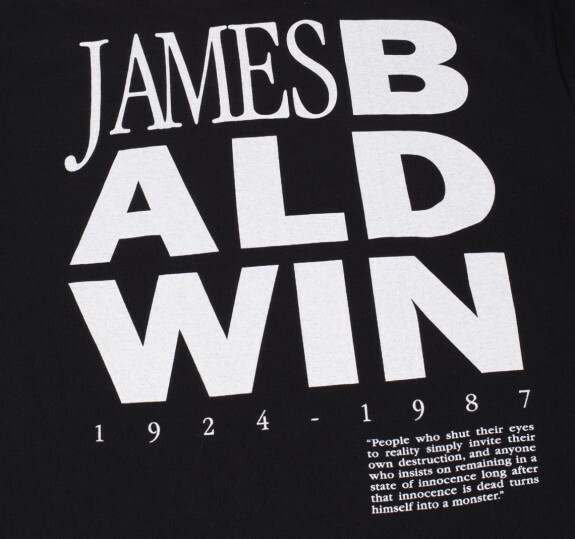 He was noted for his novels on sexual and personal identity, and for his essays on the civil-rights struggle in the United States. 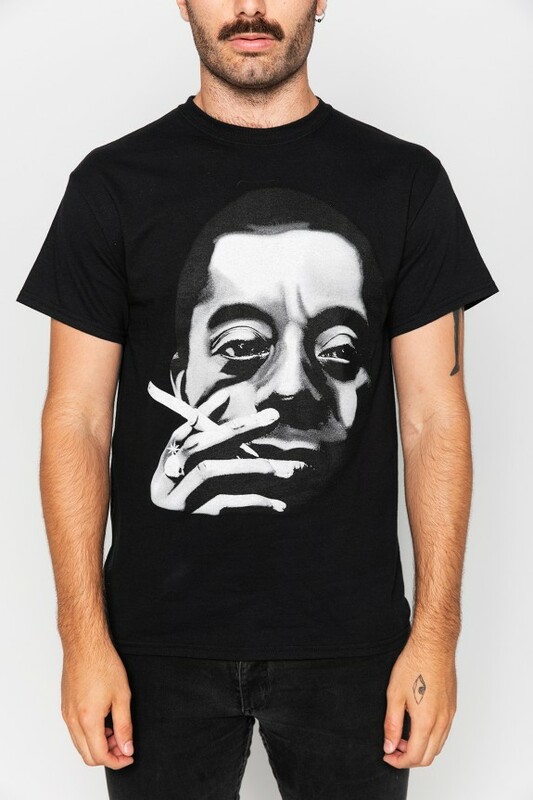 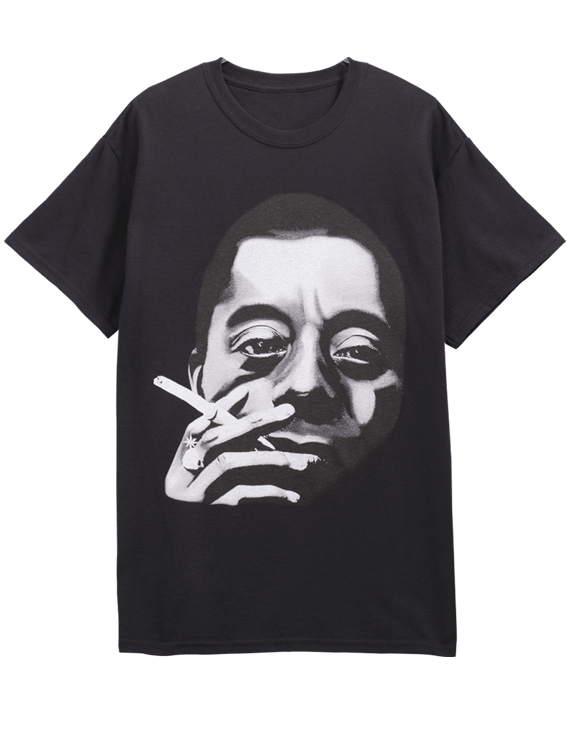 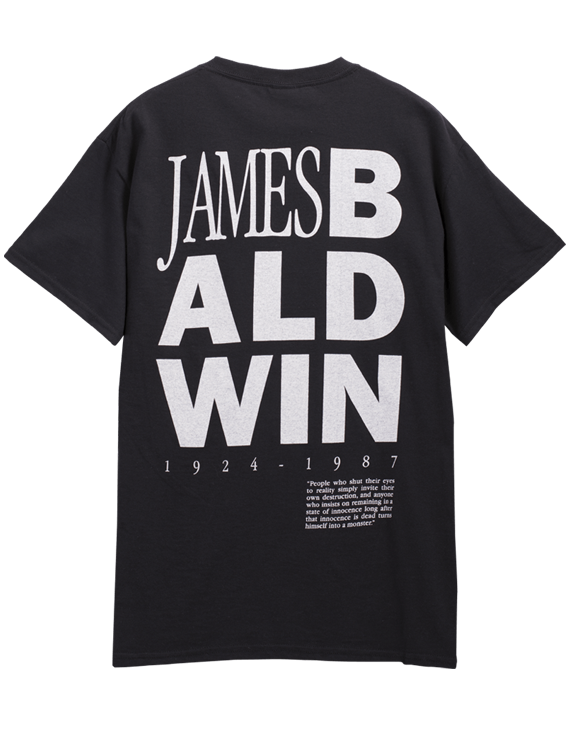 The James Baldwin t-shirt is printed in shades of white and grey ink on a black t-shirt made of 100% jersey knit, heavy weight cotton. 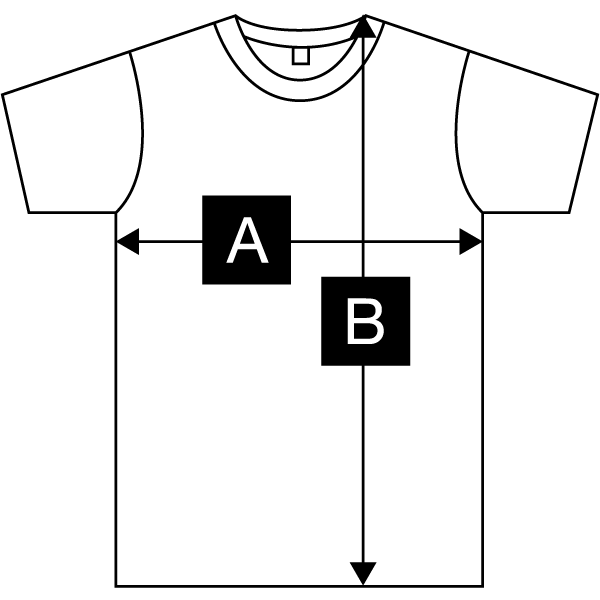 Classic cut.